Mother Nature has had a lot more time to perfect her designs than we have. And since she hasn’t bothered patenting a single one, we’re free to not only use her creations as inspiration—but to straight up steal them. So if you’re trying to create a pendant light with an adjustable beam, there’s no reason not to just rip off how the petals on a flower open each morning. That’s exactly what KDID has done with its new Pirouet light, which features a series of interlocking curved shutters that extend and retract via a lever on top. 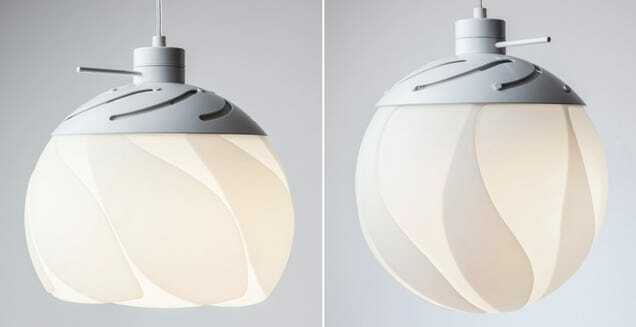 If you want just soft ambient lighting in a room, you can extend them all the way to create a glowing ball. But if you want to illuminate a table or workspace beneath, you can retract them to expose the LED bulb inside. The Pirouet ranges in price from €599 (£434) to just shy of €699 (£507) depending on whether you want the ability to dim the light, or even adjust its colour.